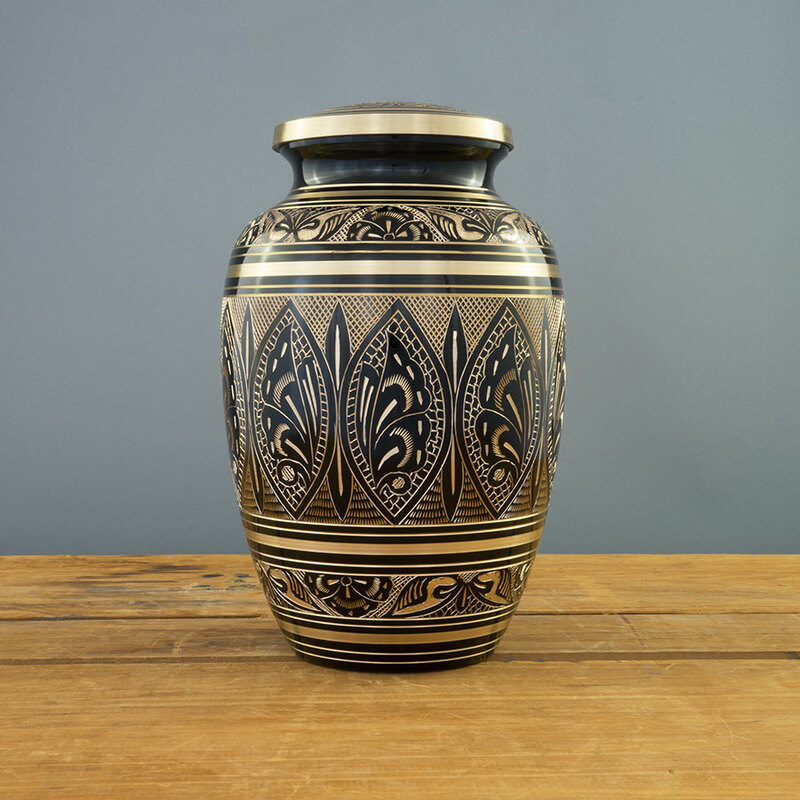 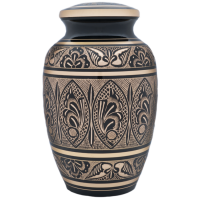 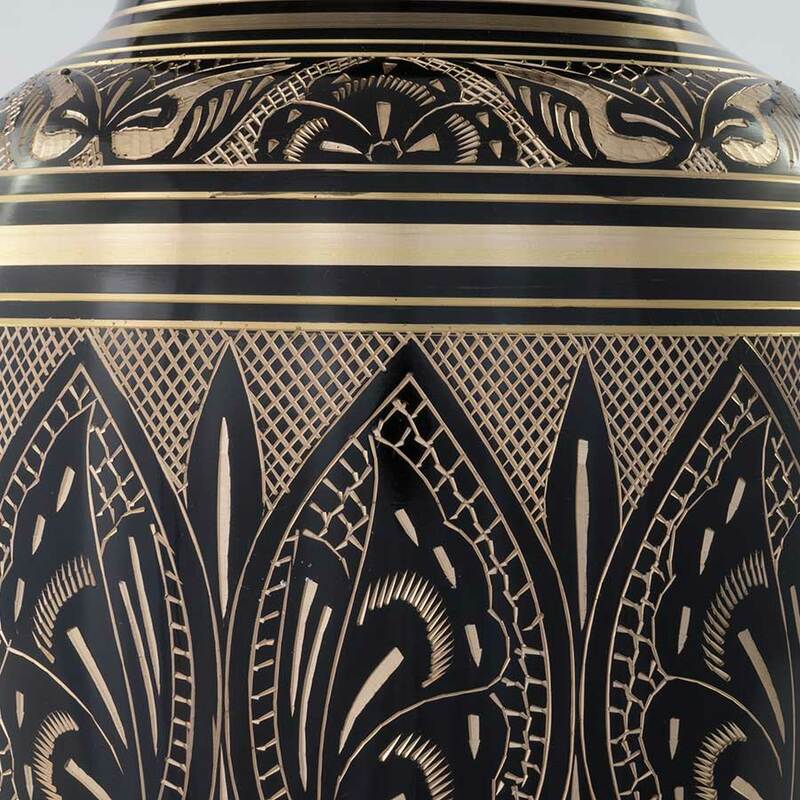 The Moderne urn is made of solid brass. 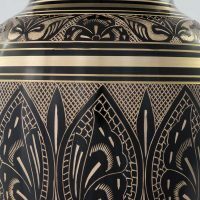 Its baroque design has hand-etched black ornamentation and gold bands to complete the look. 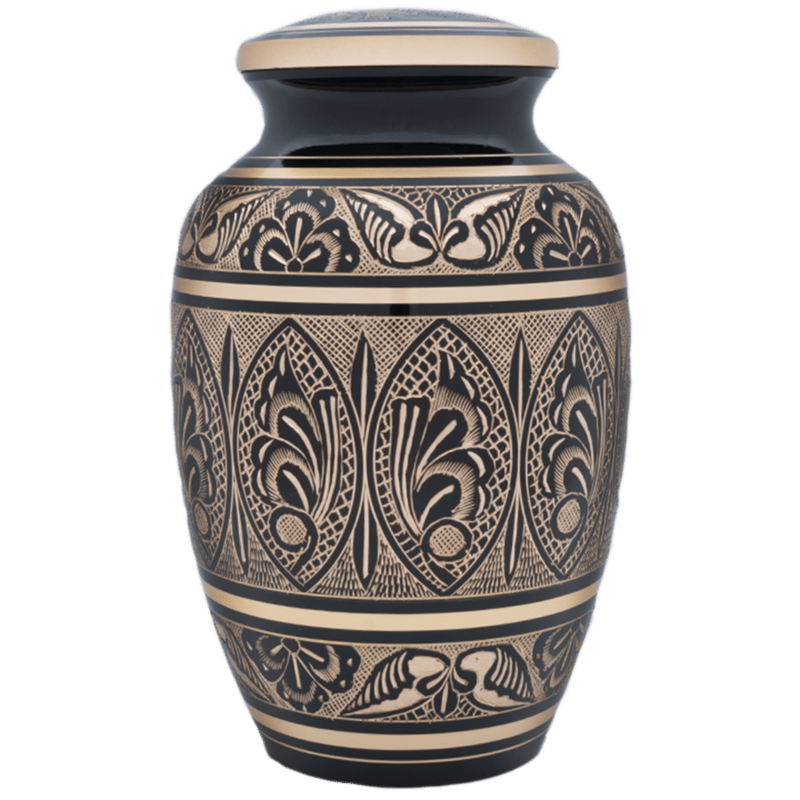 This rich design is just right for the loved one who enjoyed lavish elegance.